Press release distribution services send your press releases to a network of targeted media outlets likely to publish articles or information about the news you’re promoting. We researched more than 15 press release distribution services to land at the top six—including the best overall—based on cost, word count, formatting, reach, and customer service. People rely on press release services to amplify their marketing messages and reach. However, small businesses are often limited on resources and don’t have extensive public relations or press release knowledge. That’s why we looked at press release distribution services with strong reputations, exceptional networks, and reasonable prices. Cost – Companies offering press release distribution services should be affordable for small to medium-sized businesses. Word Count – We examined how many words are allowed in a press release, and what additional words would cost. We highlighted services that offered enough words to include all pertinent press release information (approximately 400). Media Outlets – We looked at the number and reputation of the media outlets each service distributes to, including blogs and news aggregators. Multimedia Types – We looked at what media could be added to the press release, like images and embedded video, and if these were included in the base price. Customer Service – We searched for services that offer stellar customer service, so that clients can easily solve problems that arise from press release submission, editing, and final distribution. Based on the criteria above, our choice for the best press release distribution service is eReleases. They offer the widest, most varied distribution for a competitive price. eReleases can get your story in the hands of qualified journalists both online and offline, and their distribution network includes high-authority companies like The Associated Press, PR Newswire network, and their own vetted network of websites and journalists. eReleases is the best overall press release service, offering distribution to a minimum of 4,200 high-quality, reputable news networks, blogs, and content aggregators for less than $300. Unlike other options on this list, eReleases focuses on distributing press releases to large and well-known media outlets. Small businesses looking for value can benefit from the wide exposure and pricing that eReleases offers. eReleases has three pricing plans, ranging from $299 to $499. These prices only include press release distribution. A customer may also select additional services à la carte, like immediate distribution and niche industry targeting, which cost $100 each. eReleases also offers press release writing services for an additional fee. At $299, the Buzz Builder plan includes distribution of a press release that contains 400 words or fewer to eReleases subscribers. This includes eReleases’ standard distribution list of 4,200 blogs and news sites (including Google, Yahoo, and Associated Press) and up to 75 sites that are guaranteed to post your press release. Buzz Builder also includes a service called WireWatch, which allows you to track mentions of your press release across the internet. The Buzz Builder plan is best for businesses that want media exposure, but are working on a limited budget and want to test the results of their press releases. It’s important that companies choosing the Buzz Builder plan are able to share their news concisely, as the press releases included in this plan are only 400 words long. eRelease’s Newsmaker package is priced at $399, which includes a 500-word press release and distribution of that release to the 4,200-outlet basic media network, plus 100 PR media sites, including those in the AP News Network (not just the AP News site). Additionally, users can add distribution to two industry-specific lists, curated by eReleases professionals. Finally, the Newsmaker package includes a permanent press release link for sharing. Due to its expanded press release length and more targeted distribution options, Newsmaker is an ideal package for small businesses in niche industries with more nuanced news likely to be covered in industry-specific publications. The PR Pro package costs $499 and includes all of the features of the Newsmaker package, but accepts up to 600 words for your press release. In addition to a permanent live link for your press release, the PR Pro package includes basic eReleases distribution plus distribution to three industry-specific lists and posting on 150+ PR media sites. WireWatch, the press release tracking service, is also included. eReleases’ PR Pro package is best for companies that depend on regular news coverage in their marketing, boast significant marketing budgets, and are interested in promoting to both industry-specific and general news outlets. eReleases offers various ways to reach customer service, which include instant message or chat, email, and phone. They are very responsive and able to answer basic questions in just a few minutes. If your question or issue requires some additional time, they typically deliver a response within one business day. eReleases does not allow the embedding of more than two images or one video in your press release. Also, while eReleases does offer immediate distribution (within one business day), it costs an additional $100. Finally, unlike PRWeb, eReleases does not allow you to schedule a specific time that your press release will be sent; you can only schedule the date. Most reviews of eReleases were positive. One user said that his ordering experience was pleasant and smooth. But a few users complained that the website was glitchy when filling out the forms needed to start a press release order, or that pop-ups continue to appear on the website when you are placing an order. Read a complete review in our article on eReleases User Reviews and Pricing. You can start using eReleases‘ services by going to eReleases’ PR Distribution page and choosing the package that fits your needs the best. Once you do this, you will be directed to a form that will allow you to create your press release, add any images and quotes, and preview what it will look like once it is sent. Click here for 33% off your first press release. Newswire is a press release service company that distributes press releases to 1,200+ outlets with the help of PR professionals, starting at $119. Newswire is known for offering the best customer service in the PR industry; they will help you create your press release and even assist you in deciding which distribution package fits your needs the best. Newswire is best for businesses that need customized support and guidance through stellar customer service. 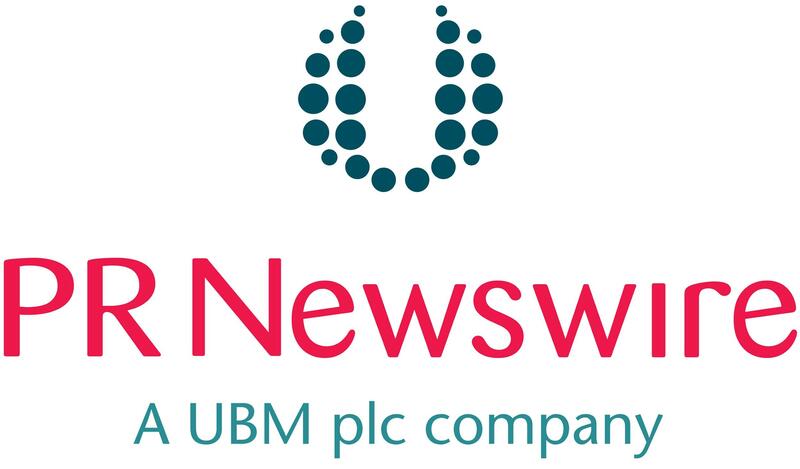 Newswire offers several press release distribution plans. One-time distribution starts at $119 and goes up to $1,199, depending on the size of the distribution list. There is also a monthly subscription option, based on the number of press releases sent. This option starts at $399 per month and goes up to $1,599 per month. The Premium distribution plan costs $119. With this plan, a press release is published on 50+ credible news and financial sites. In addition, it will be distributed to sites like Google News and the popular news outlet DigitalJournal. Unlike PRWeb and eReleases, Newswire doesn’t require you to buy a larger package to include media attachments. Images, videos, and documents are allowed to be embedded in the press release at no extra cost. The Premium plan offers simple and broad media exposure, but no additional targeting for specific industries or geographic location. This make it best for businesses that want to increase their media exposure and public visibility, but are working on a limited budget or that want to see what types of outlets respond best before spending more money. Newswire’s Premium Plus plan is priced at $359. It includes everything in the Premium plan but also offers additional distribution through Newswire’s broad network of media sites. This network includes more than 200 sites, all of which will publish the press release in some form. This includes sites like Yahoo Finance, Yahoo News, BizJournals, major news outlets, and TV networks (ABC, CBS, FOX, and NBC local affiliates). In addition to their online distribution channels, Newswire now offers a media database to reach targeted editors, journalists, and bloggers. Customers can leverage Newswire’s database of over 1.6 million+ media contacts to get their press release to targeted lists for even wider distribution. This allows customers to expand their reach and coverage in a targeted way. The Premium Plus plan offers targeted, specific, and broad distribution, along with a media database of contacts. These features make it a good fit for organizations that want high-level media visibility and exposure to specific industries. Newswire’s Premium Plus + State Newsline is $699. This plan offers the same features as the Premium Plus package, but also includes the ability to search for and send to newsrooms within a specific state in the U.S. With this plan, you will also be able to send to 250 news sites for posting, but you can be more targeted with the lists of journalists that pertain to the state you want to target. PRWeb’s Premium Plan is best for organizations that are in a competitive field and need to increase their visibility in a specific geographic area. 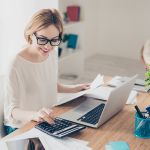 Companies that benefit from using this plan will have a significant budget to support their marketing efforts and plan to consistently use media as part of the marketing strategies. Customer service is where Newswire sets itself apart. They offer customer support from a chat box that is directly on the website, where customers will receive an almost instant response. They also have phone support and a help desk to submit support tickets during regular business hours; representatives often respond within minutes. If a customer has a question during non-business hours, they can expect to hear back within six to 12 hours. Beyond availability, Newswire’s support staff is the most thorough of any distribution service we reviewed. They will assist you in navigating the press release distribution process, including choosing your distribution plan, inserting images, writing copy, and answering any other questions you might have while preparing to send your press release. Newswire doesn’t allow for much customization regarding the text within a press release, as it follows the industry standards on the form that you fill in to create a press release. Also, some users wondered if the quality control of press releases should be tighter, with suggestions for making releases more professional. You can find Newswire by going to the distribution page on their site and selecting the plan that works best for you. Once you do this, you will be taken to a checkout page. Enter your information and you will be redirected to a page that allows you to start creating your press release. Click here to get 10% off your first press release. PRWeb is a press release distribution company with a 4,000+ base distribution list and professional review and editing of submitted releases, starting at $99. In fact, they have a team of professional PR editors that look at every press release, ensuring that each one is polished and meets industry standards before distribution. PRWeb is best for businesses with little to no experience writing press releases that feel they need editing assistance. PRWeb offers four different packages that range in price from $99 to $389. The higher-priced plans offer distribution to a greater number of media outlets, websites, and blogs, along with the option to target media outlets in specific industries. All plans include professional editing from PRWeb staff. The standard package at PRWeb costs $189 and doesn’t limit the number of words that you can have in a press release, unlike eReleases. However, PRWeb does suggest keeping the length to the standard 400 to 800 words. 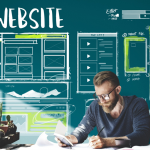 The standard plan includes a specific spot for a quote callout in your press release, along with permanent hosting of your release on PRWeb.com. The Standard package distributes your press release to an online network of websites and news outlets. Because the Standard plan offers media exposure and distribution but not industry targeting, it is best for businesses that want to increase their public visibility but also need to test the results of their press release efforts before adding distribution. Their content should also be relatively easy to convey in text only, as no images or videos are included in this package. The Advanced plan, like the Standard plan, offers a permanent link to your press release on PRWeb.com. This plan also includes having a PR expert from the PRWeb editorial team tag your press release with specific, relevant keywords to ensure your message is reaching the best media outlets for your news. A unique feature of the Advanced plan is the ability to distribute your press release directly to a specific list of industry-curated journalists and bloggers. The Advanced plan offers both wider and more targeted distribution then the Standard Plan, which makes it the best fit for companies that would benefit from the exposure from coverage in specific and niche industries. This package is ideal for companies needing quick distribution and want some graphical treatment of their press release to help them stand out. The Premium plan includes everything that is in the other three plans, but it also includes distribution to two of PRWeb’s professionally-curated lists of journalists and bloggers. The Premium plan also includes additional exposure and distribution of your press release to new social media audiences by utilizing Cision-sourced, industry-specific Twitter feeds. The Premium plan is the only one from PRWeb that offers the option to add Priority Distribution for $99. PRWeb’s Premium Plan is best for organizations that have large competitors and could benefit from using media coverage as a consistent part of their marketing strategies. Perhaps more importantly, the Premium plan is designed for companies that have time-sensitive news and announcements that need to distribution quickly. PRWeb’s customer service is sometimes hard to reach. If you call, you will spend, on average, around 10 minutes on hold before talking to anyone. Though they have a chat box on their website, each time we attempted to use it, it canceled the chat because no customer service agents were available. Email was the best way to communicate with them and on average, it takes about an hour to get a response via email. PRWeb is a full-service press release creation and distribution platform, but it’s missing the ability to send press releases without having to create an account or wait for the editorial review. PRWeb has angered a few clients because their editorial process can take up to 10 business days, and you can miss a distribution deadline because of this. Some users have found PRWeb to be helpful, but many of the reviews complain of long wait times for editorial reviews, not being given notice that their releases were put on hold, or discovering their releases were not sent after paying for the service. Some users have also said that it is difficult to get a refund when deadlines were missed due to editorial delays. You can read more about what users think by reading our article on PRWeb User Reviews. If you would like to use PRWeb’s service, you can visit their services page. You will then want to click on the service level that you are interested in using. This will prompt you to create an account with PRWeb, pay for your chosen service, and then start writing your press release. Click here to get 10% off your first press release. Send2Press offers both press release writing and distribution services starting at $199. Their distribution packages stand apart from the others on this list by allowing users to target specific geographical areas, instead of only national or industry-specific news sites. Send2Press is best for state-based or region-centric organizations that want to focus on reaching local media outlets. Send2Press offers several plans that target local and regional areas, starting at $99 and going up to $199. The differences between the plans include word count limits and the size of the distribution lists. Send2Press’ Standard State + Online plan will send your press release directly to editors of newspapers, television stations, and radio news networks in the state you choose through email distribution. This plan also includes syndication on 100+ websites, like Google News and Bing News. This plan includes distribution in one U.S. state. Unlike PRWeb and eReleases, if you only want to reach one state with your press release, you can do this with Send2Press on their most inexpensive plan. This makes it ideal for companies with a local focus, geo-centric marketing campaigns, or physical locations in a specific state. Send2Press’ Standard Industry + Regional plan includes all the features listed in the Standard State + Online plan, but will also include distribution to media in a specific region. The regions consist of various make-ups depending on population. For example, well-populated areas, like New York and New Jersey, would be their own region, while less-populated areas would include multiple states, like Kansas, Nebraska, and Iowa. This distribution plan includes syndication on 200+ media outlets like AP News and Apple News. Since this plan offers wider distribution with a region, it is best for medium-sized businesses that have expanded their reach into multiple states, or for businesses that need to cater their marketing to specific audiences. The Standard National Plan from Send2Press will include everything in the Standard Industry + Regional plan, but it also includes distribution to 6,000 national news sites and a push to the editors at AP News, both locally and nationally. This plan also includes a social media promotion package, valued at $49, which will share your news on top social media platforms like Facebook and Twitter, with three to five hashtags of your choosing. The Standard National Plan from Send2Press is best for organizations that have large marketing and public relations budgets, have the ability to service customers from around the country, and want to promote their company in both industry-specific outlets and general media outlets. The National Plan is often the final upgrade for smaller companies that have grown to include a nationwide customer base. Send2Press Customer service does not usually require a hold time when you call them, but they don’t offer a chat service. On average, it takes about one day to get a response to email, even for simple questions. There are some complaints that customer service gets rude with customers at times. If you’re looking for better customer service, try Newswire. One thing that Send2Press is missing is the ability to simply add more media outlets to your distribution by paying an additional fee. Instead of a quick add-on, you have to go through the entire purchase process again. Most users are happy with the service and results produced by Send2Press. 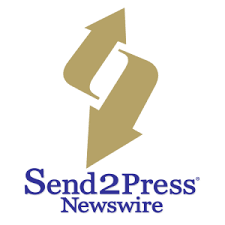 Some users who have used other services, like PR Newswire and PRWeb, claim to have gotten better service and better results with Send2Press. Read more about what users think in our article on Send2Press User Reviews. You can find Send2Press by going to their press release distribution page and choosing the plan that works best for your needs. After you choose a plan, you will be directed to a webpage where you will enter your billing details. You then navigate to a page where you can start creating your press release. PR Distribution (formerly Press Release Jet) is a press release distribution company that offers no-frills distribution at inexpensive rates, starting at $69. Not offering targeted media and industry lists keeps their costs lower, but they are still effective at getting coverage for users. PR Distribution is best for startups with very limited marketing budgets that are interested in building brand awareness. The Premium plan from PR Distribution offers distribution to national media outlets that include Google and Yahoo News. It doesn’t include the PR Newswire network of top-tier news outlets, but your press release will be posted on over 250 media outlets with the Premium plan. The Premium plan gives the user basic media exposure, which makes it the best for businesses that want to increase brand visibility but have a small or limited budget. Given the lack of a word limit, it’s also ideal for businesses that have more complex, involved, or nuanced news to share in their press releases. The Premium Pro plan includes all the elements of the Premium plan but also includes the distribution to their network of up to 200 top-tier media outlets, which includes ABC and Fox, along with their affiliates. You can also add an à la carte social media blast to this plan for $99. The Premium Pro plan offers a little more distribution then the Premium Plan, which makes it best for companies that would benefit from regular general media and news coverage and have slightly more money budgeted for their marketing efforts. The Premium Concierge package includes everything in the Premium Pro plan, but also includes a social media blast as well as a guarantee to reach Reuters News and Bloomberg Business. It also includes specific media contacts that are hand-selected by the team at PR Distribution for personal outreach. Unlike eReleases, the team will not just give you the contacts on a dashboard, but will personally reach out to five targeted journalists. The Premium Concierge package is a good fit for companies that utilize strong and consistent media coverage in their marketing, maintain large marketing and PR budgets, and are interested having the ability to search for and send their press releases to specific journalists. PR Distribution allows you to email or call them to get questions answered or issues resolved. They don’t have a chat available on their website, like Newswire or eReleases. They take about three hours to respond to emails, and the hold time for the phone is between three and five minutes. PR Distribution is missing the ability to get support through a chat box on their website, so it takes a bit longer to get questions answered than it does with eReleases or Newswire. It also doesn’t offer editorial guidance like PRWeb. Finally, unlike Send2Press and eReleases, PR Distribution doesn’t offer a press release creation form that helps you correctly format your press release; it is just a text form with free-style formatting. Most people who have used PR Distribution (formerly Press Release Jet) have been happy with the service and the results of the distribution. However, there are a few customers on Facebook and Reddit who complained about paying for and submitting a release and never hearing anything back from the company. You can sign up with PR Distribution by going to their pricing page and deciding which plan is the best for you. Once you select a plan, you will be taken to a form that lets you start to create your press release and upload your images. After you complete this form, you will be taken to the payment page, where you submit payment. You then wait for a confirmation email before your press release will be ready to send. Click below to get started. PR Newswire is one of the oldest press release distribution companies, which has allowed them to create a deep database of media and journalist contacts. PR Newswire is best for those that want to target a specific industry, such as finance or education, because they offer plans that specifically allow users to select the industry—and the media in that industry—that will receive their press release. PR Newswire is pricier, with a membership fee and distribution fee. PR Newswire requires an annual membership to use their press release distribution services. Membership costs $195 annually. Once membership has been established, press release distribution services start at $350 and go up to $805 for basic distribution. They also offer add-on services at additional costs, like including images in your press release for $325. The State and Local package from PR Newswire offers distribution to a specific state or local news sites. Unlike Send2Press, PR Newswire allows you to choose a specific city or state, and doesn’t restrict you to regions of the country defined arbitrarily. This plan doesn’t offer free images, like Newswire and eReleases do, however. If you would like to add an image, video, or audio, it will cost an additional $325. Because PR Newswire State and Local plan offers targeted distribution for a specific geographic area—including narrow targeting available within a specific city—it is best for companies whose marketing campaigns are city-specific. The Regional and Top Markets plan is similar to the State and Local plan, but has slightly wider distribution; press releases can be sent to up to 13 states per region, instead of just one. Unlike Newswire and PRWeb, this PR Newswire plan does not include images or video options. If you would like to add an image, video, or audio to your press release, it will cost an additional $325. This plan does offer a permanent link to your press release on PR Newswire’s website. Because of its regional focus, this plan is best for organizations that want regional visibility and don’t need to leverage PR Newswire’s narrow targeting. The National plan provides the most comprehensive distribution by sending your press release to over 4,500 websites, newsrooms, and blogs across the U.S. These sites will include Yahoo! News, MarketWatch, and Bloomberg News. This plan also includes a premium report that will let you know which websites have picked up your press release and gives you direct links for published articles. The plan also allows you to send your release to important public officials, legislative or philanthropic organizations, and newsrooms, as well focus on specific online audiences. You can choose these option when you are selecting who to send your press release to. The National package from PR Newswire is best for companies that depend on consistent and national news coverage to drive their marketing results. They will need to have large marketing budgets and benefit from nationwide news coverage. PR Newswire has good customer service, with phone and online chat as well as email support. Hold time on phone calls is usually less than a minute, while chats are answered almost immediately during business hours and within three hours if a user sends a message outside of regular business hours. All communication via email receives a response within 24 hours. PR Newswire is missing the ability to add at least one image or embed a video into your press release as part of any of their distribution packages. PR Newswire also doesn’t allow you to send a press release without being a member. What’s more, you must sign up for membership and order press release distribution at separate times, making it more time-consuming and pricier to send a press release with PR Newswire compared to Newswire or eReleases. Most people who have used PR Newswire don’t like the platform for creating and sending press releases, as it is difficult to know where to click to build your press release. Users said that the need to create a profile, sign up for membership, and then sign up to send a press release separately is tedious. Users also mention that they don’t like that many of the 4,500 sites that press releases are distributed to are microsites that don’t offer much exposure. In order to send a press release with PR Newswire, you will need to fill out a form that creates a profile for you. Then you will need to sign up as a member of PR Newswire. Once you have done that, you can go to their pricing page and choose the press release package that makes the most sense for your goals. Click below to sign up for membership. Do Press Releases Provide SEO Value? Indirectly, yes. Most of the “newswire” sites—sites that only include an archive of press releases—publish releases with “nofollow links,” which makes those links ineffective for SEO. However, press releases still increase brand awareness, generate traffic for your website, and can be shared on social media. Given these benefits, they provide an indirect SEO benefit. How Much Does Press Release Distribution Cost? Distributing press releases typically costs anywhere from $49 for a basic press release to over $1,000, depending on the company or service you choose for distribution, how long your press release is, and what media outlets you want to receive the release. This price does not include writing your press release—only distributing to news and media outlets. Can I Distribute a Press Release for Free? There are free press releases distribution services, but they are not recommended. Most just post your press release on a site with other press releases instead of sending your press release out to media outlets. Press release distribution is a service that sends out press releases to media outlets and journalists with the goal of securing media coverage. Many businesses are prime for press release distribution, including those with ongoing news, are just getting started or opening a new location, or would like to increase brand awareness. If written and distributed carefully, press releases can achieve all of these goals. Getting your press release into the right hands can be overwhelming and confusing. With the right press release distribution service, you can avoid the time-consuming process of building your own media contact list. eReleases, our top distribution pick, can provide your business with easy access to journalists and websites that you may not be able to reach on your own for an affordable price. Get 10% off your first press release. Kristi is a staff writer at Fit Small Business, focusing on marketing for small businesses. Her past experience includes founding, growing and selling her own full-service digital marketing agency. Her expertise includes content marketing, public relations, social media marketing, email marketing as well as event marketing. She has worked with over 500 small businesses & start-ups in her career. When she isn't writing or giving out marketing advice, she can be found planning her next travel adventure or enjoy Florida's beaches. Thanks for sharing the wonderful list. The price is quite high, but it works. First off, awesome article! What a great read! I should also mention that a formal marketing plan is not currently in place for us at this time. Thanks for your comments. Here are additional articles we have on press releases. You may find the information you’re looking for in the first article where users share their tips. Which service to choose for the maximum backlinks effect? Unfortunately, links listed in press releases are coded as “no follow”, which mean they don’t provide any SEO value. Therefore, getting more backlinks will not improve your SEO. You can read more about this in the “Do Press Releases Provide SEO Value?” section of this article. Thanks so much for the valuable content. I have used prunderground and webwire, and find webwire really economical ($39) with great tracking.